We're closing out Tasti-Lee week with one of my staple recipes. I make my Turkey Ragu once a week without fail. 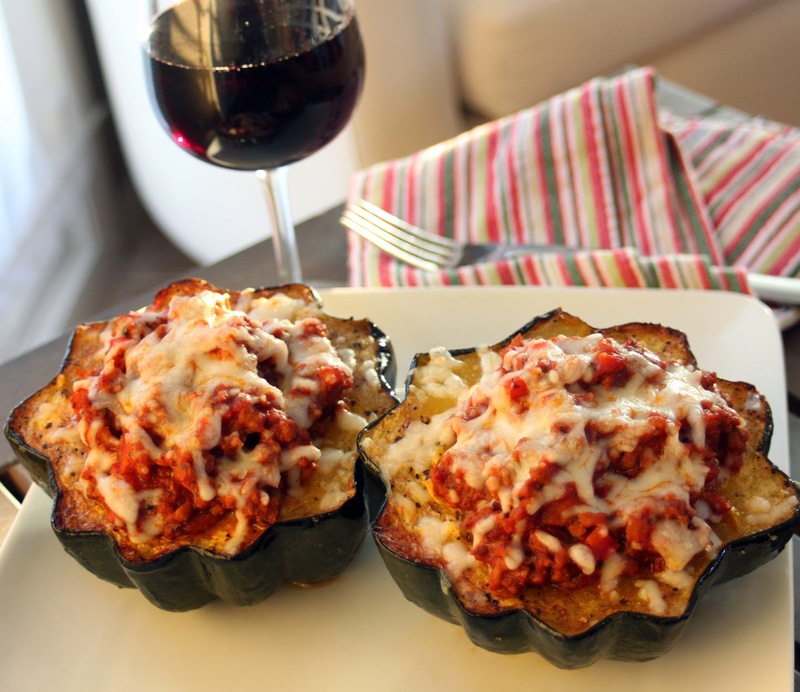 It's great with pasta (of course), but for more grain-free dinners, we stuff it inside acorn squash, or use spaghetti squash in place of pasta. Most recipes call for a touch of nutmeg, but the Pumpkin Pie Spice gives it an amazing, deep flavor! I also use a sweeter wine, such as a California red mixture or a dark, red blend. You can use your own perference, but remember this...if you won't drink it in a glass, then don't cook with it either. Of course, if you drink it in a glass WHILE you cook with it...that's just fine. I've REALLY enjoyed working with these DELICIOUS and BEAUTIFUL tomatoes. I got SO many compliments on them, as they were a big part of our family's Easter feast. Thank's so much Tasti-Lee! You've been a fantastic journey! Click here to request a Tasti-Lee coupon! ...and don't forget to "like" Tasti-Lee Tomatoes on Facebook! Peel the tomatoes first. This can be done either by boiling them for a few minutes first, or by placing them in a hot iron skillet and lightly rolling them around for a few minutes until the skin begins to fall off. I prefer the second method, as boiling them can make them mushy and watery and harder to work with. When the tomatoes are peeled, chop them roughly and set them aside. Add the chopped tomatoes, tomato paste, red wine, pumpkin pie spice, basil, bay leaves, brown sugar and oregano. Stir until all ingredients are combined, adjust salt and pepper, reduce heat to a simmer and stir occasionally for 1-2 hours. 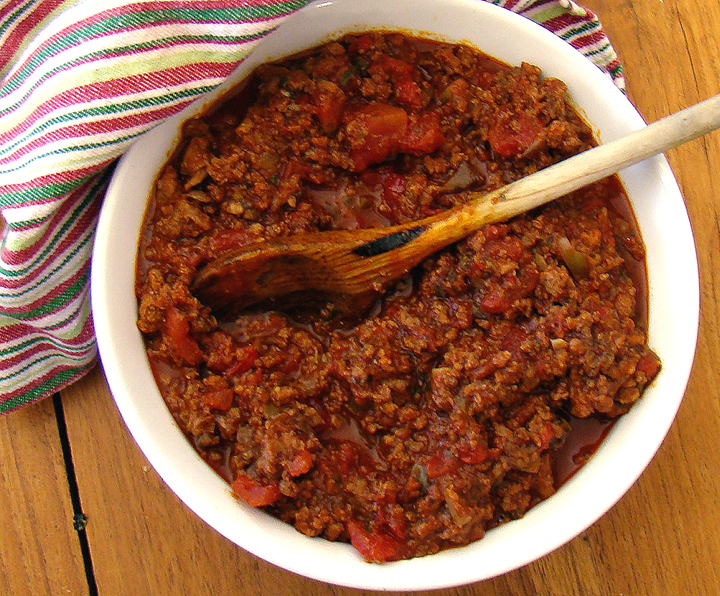 When the sauce is ready it should be a thick, reduced and concentrated ragú, with only a trace of liquid left in it.